NOTE: This content is old - Published: Friday, Oct 20th, 2017. 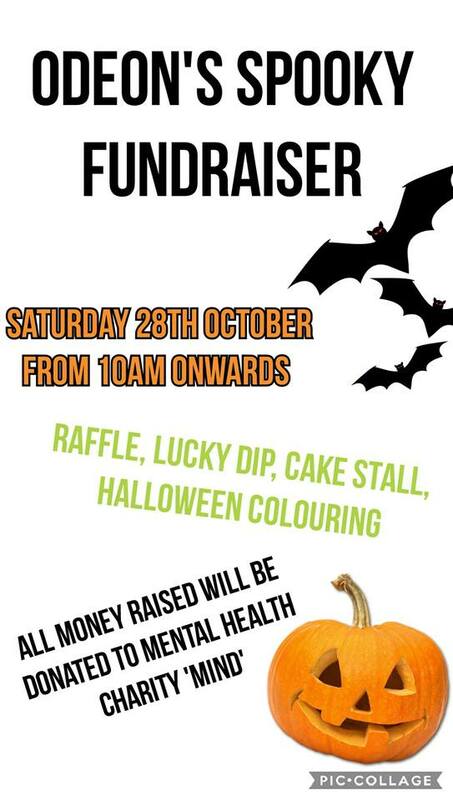 Please join us at Odeon Eagles Meadow on Saturday 28th October from 10am onwards for our Spooky Fundraiser in aid of Mental Health Charity ‘Mind’. There will be a Raffle with great prizes including free meals, cinema tickets, wine etc. Anyone in Halloween Fancy Dress will receive a prize!